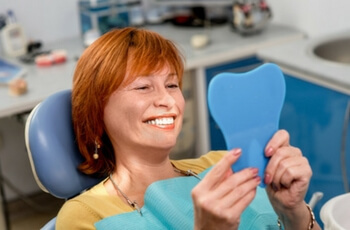 Guided by a small mirror, the hygienist uses a scaler to remove plaque and tartar. You’ll hear a scraping sound as the space between your teeth and gum line is cleaned. While this is usually the least favorite part of the exam, tarter build up is preventable. How? Regular flossing.